Good Monday morning to you! Did you enjoy your extra hour of sleep? 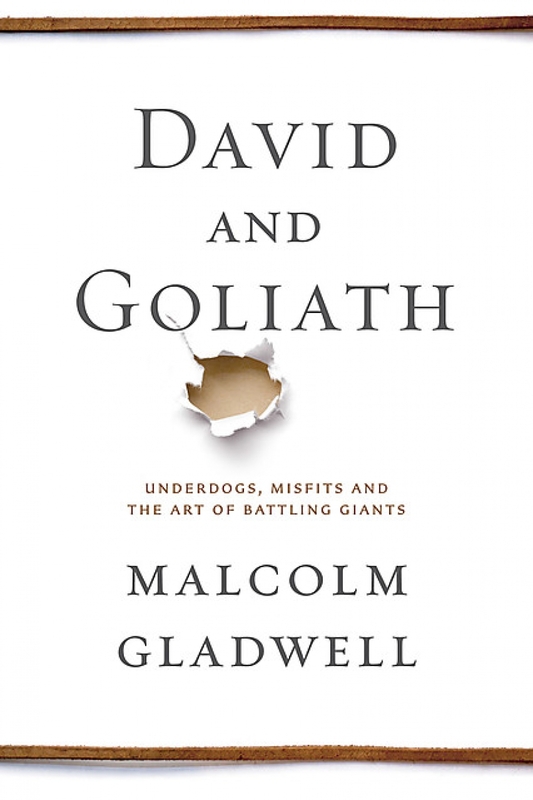 Over the past weeks I have written a couple of posts on Malcolm Gladwell’s excellent book David and Goliath (click here and here to read the posts). In the first part of his book Mr. Gladwell makes some excellent points, but Part Three of the book on “The Limits of Power” is incredible and hit me like the proverbial ton of bricks. He tells the story of Wilma Derksen whose thirteen year old daughter was brutally murdered and contrasts her and her husband Cliff’s response to another man whose daughter was murdered. His name was Mike Reynold’s and he was obsessed with justice and was the driving force behind California’s three strikes law which proved ineffective and was a blunt instrument of power. Instead, Wilma and Cliff chose the power of forgiveness which was far more effective. He tells the story of Andre Trocme a Huguenot pastor in the French town of Le Chambon-sur-lignon during World War II. In open defiance of the Vichy government Trocme and the townspeople sheltered and saved many Jews. They prevailed and it is a riveting story of courage and sacrifice. In each case, the powerful misused their power and the weak prevailed. Sounds amazingly like God’s economy. While these examples are of government misuse of power, I also want to point out the very personal misuse of power by us as leaders – especially those of us serving in ministry. Do we view the power entrusted to us as a sacred stewardship to be used for the benefit of those we lead? Do we put into place checks and balances to help us to avoid the abuse of power? Are we accountable to God and others? Power, even the tiniest amount of power we might hold over others is to be treated with great, great care for we all have the tendency to begin thinking we somehow deserve that power and then begin to misuse it. If you have been entrusted with even a modicum of power walk carefully and fearfully before God. * Crossway Bibles (2009-04-09). ESV Study Bible (Kindle Locations 223733-223740). Good News Publishers. Kindle Edition.